Finish your lat workout, let go of the 48inch lat bar and grab the 20inch seated row bar on the low pulley and continue working out. The Body-Solid Plate Loaded Lat Machine GLM83 features includes patented nylon bushings to provide super-smooth movements and full metal pulley covers provide important protection from accidental contact. This machine incorporates all the standard features found in the world's most expensive gym equipment, but at an affordable price. Pop pin adjustments, foam rollers and bar holders for high and low pulleys add order and convenience to your workout. A seated row foot brace and diamond plate stabilizers add extra balance and security to the best lat machine on the market today. The Body-Solid Plate Loaded Lat Machine GLM83 is designed to substantially reduce the time between exercises, this no cable change machine allows you to move quickly and easily from station to station. 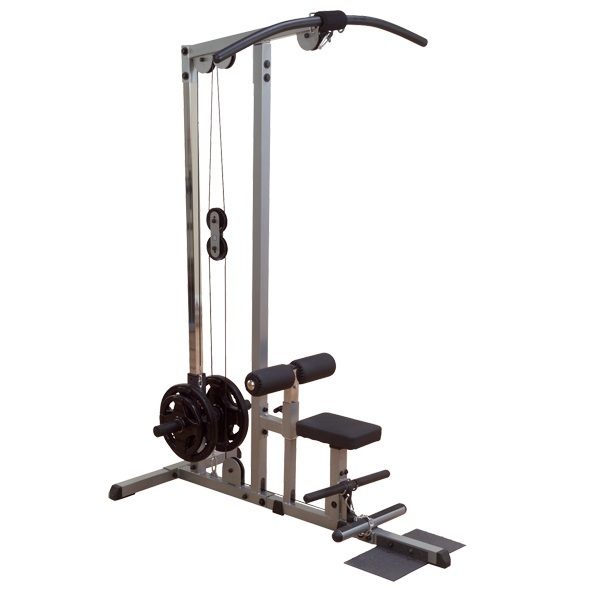 This High-Low Lat Pull Machine offers important functional versatility that will satisfy the most demanding user. Heavy gauge diamond-plate base and permanent foot support with durable no-slip covering assure maximum leverage for developing the thickness of the back and lower lats. The Body-Solid Plate Loaded Lat Machine GLM83 is designed to provide an intense workout while eliminating strain, the Body-Solid Plate Loaded Lat Machine GLM83 pieces are hard to beat. Easy and convenient step in entry makes getting started a breeze. Thick, comfortable DuraFirm™ pads reduce fatigue and discomfort allowing you keep working out. Rock solid support and stability is delivered via heavy-gauge steel frames with all-4-side welded construction. Some of the Body-Solid Plate Loaded Lat Machine GLM83 features are thick, comfortable DuraFirm pads that reduce fatigue and discomfort allowing you keep working out. Rock solid support and stability is delivered via heavy-gauge steel frames with all-4-side welded construction. The Body-Solid Plate Loaded Lat Machine GLM83 is specially designed to focus on your biceps, forearms, lat, shoulders, traps, and triceps. The Body-Solid Plate Loaded Lat Machine GLM83 is one of the best ways to work your biceps, forearms, lat, shoulders, traps, and triceps in a safe and efficient manner. Call 1-800-875-9145 to chat with one of our fitness advisors with any questions you may have about the Body-Solid Plate Loaded Lat Machine GLM83. Order your Body-Solid Plate Loaded Lat Machine GLM83 from FitnessZone.com today! 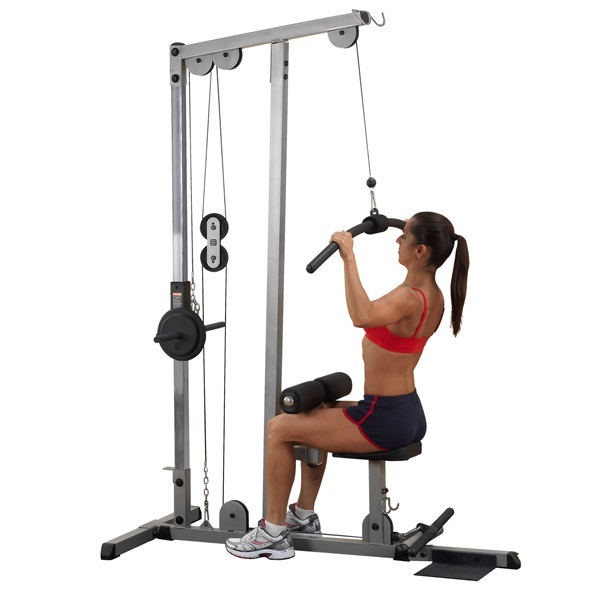 Order your Body-Solid Plate Loaded Lat Machine GLM83 from FitnessZone.com today!